Levi Bessette takes no pride when he remembers how he left his daughter in the car while scoring drugs from a guy he once traded himself for to get a fix. He was caught in the grip of a dark addiction that seemed impossible to escape. 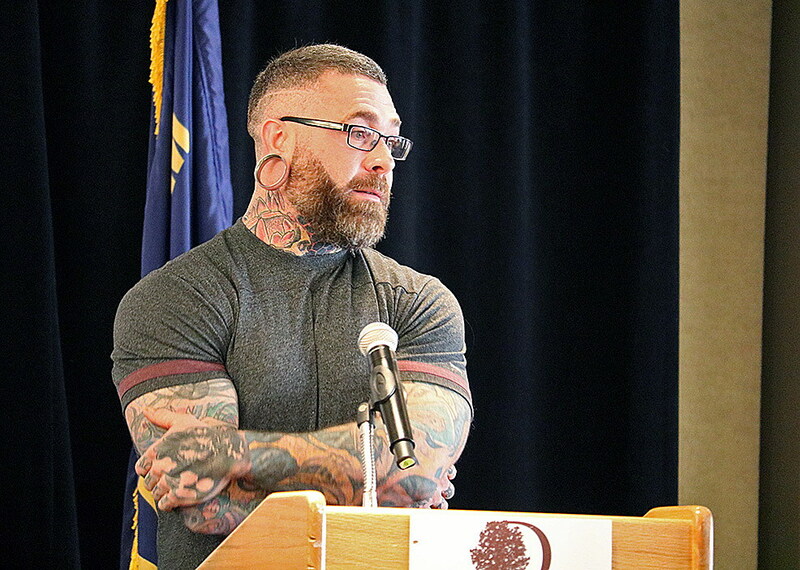 Bessette, now a clean and sober University of Montana graduate and the proud father of an 11 year-old daughter, shared his story of addiction during the Missoula Chamber of Commerce’s State of Missoula presentation on Wednesday. The panel, which included Montana Attorney General Tim Fox, Missoula police detective Dean Chrestenson and employment attorney Kati Mahe, explored the current drug crisis, its impacts on the workplace and the shattered lives it leaves behind. Fox said much of the meth and heroin that arrives in Montana comes from Mexico, where it’s pure and cheap to produce. And it’s found its way into Montana communities large and small, not discriminating once it arrives. The State Crime Lab in Missoula has seen an explosion in samples testing positive for meth and heroin, increasing 143 percent over the last three years. The number of infants born with neonatal abstinence syndrome has grown significantly. 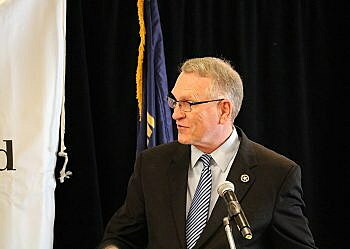 Fox said the state’s drug epidemic has placed upward pressure on the state’s budget. An increase in children placed in Child and Family Services, a greater case load in the justice system, and growing jail populations come at great expense. It also impacts businesses in time and output. Bessette knows personally the power of addiction. He grew up in a healthy, loving family and by all accounts lived a normal childhood. But when his father died in 2000, he turned to drugs and alcohol, saying he didn’t know how else to cope. That began his deep, dark slide into a world of addiction, and it lent him a front-row seat to the challenges faced by those struggling to escape. The state’s recovery programs are ill-equipped to meet the current demand for treatment, and the societal stigma around addiction is hard to overcome. While supply is one side of the problem, Fox said, demand represents the other. To help fight that demand, Fox launched his Addressing the Impacts of Drugs (AID) in Montana to confront what he describes as a crisis. The effort looks to bring agencies and organizations together from across the state to fully explore “all facets” of substance abuse, and find the questions they don’t yet know to ask. Fox also has proposed several new bills to curtail use, from diversion programs for first-time abusers to a statewide drug registry to prevent “doctor shopping” for addictive prescription drugs. While some believe drug activity is restricted to the nation’s major cities, detective Dean Chrestenson said those assumptions are incorrect. The 19-year veteran of the Missoula Police Department said the city knew eight years ago that the opioid epidemic had arrived. He was the first prescription drug detective in Missoula. The office has grown to include nearly all state and federal law enforcement agencies, all working together to get ahead of the issue. While Chrestenson describes the War on Drugs as “the longest war” he’s ever seen, Bessette put it differently. The War on Drugs, he said, has been lost.